Before we dive into a whole bunch of Star Wars: Episode IX plot nuggets, I should warn you that while most of these are rumors, some may come true, and considering Making Star Wars’ pedigree, they’ll probably all be true in some sense, so if you’re avoiding any type of SPOILERS for Episode IX, please go home. Alright, on to the good stuff! 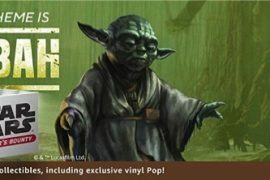 MSW has put out a roundup post of sorts to summarize a few plot points they’ve picked up on from their various sources at Pinewood Studios and Lucasfilm marketing, and there are more than a few juicy details to sink your teeth into. I’ve summarized the big ones down below with my own speculations on what they could mean, but if you want the full rundown, you should head over to MSW! Nick touched on this rumor earlier this week, but apparently both Rey and Kylo will be fixing items from their pasts in Episode IX. Kylo will be mending his helmet with some sort of red goo, channeling a Frankenstein look. Rey on the other hand will be repairing the Skywalker family lightsaber. I like this dynamic as it shows how the two continue to share a journey, albeit a much separate one now, because Kylo is falling back on his past, while Rey is embracing her future and the responsibilities she carries as the most powerful “good” Force user in the galaxy. I’m predicting both of these rumors come true. Apparently there will be three different environments featured in this film, but it’s not clear if two of them will be featured on the same planet. MSW reports that there will be a “Jungle world,” a “Swamp world,” and a “Desert World.” The jungle and swamp worlds may be the same location though. I’m going with three distinct planets being featured in Episode IX. That seems to be the trend for most Star Wars movies, so I’m thinking the final Skywalker joint to stick with that mantra. 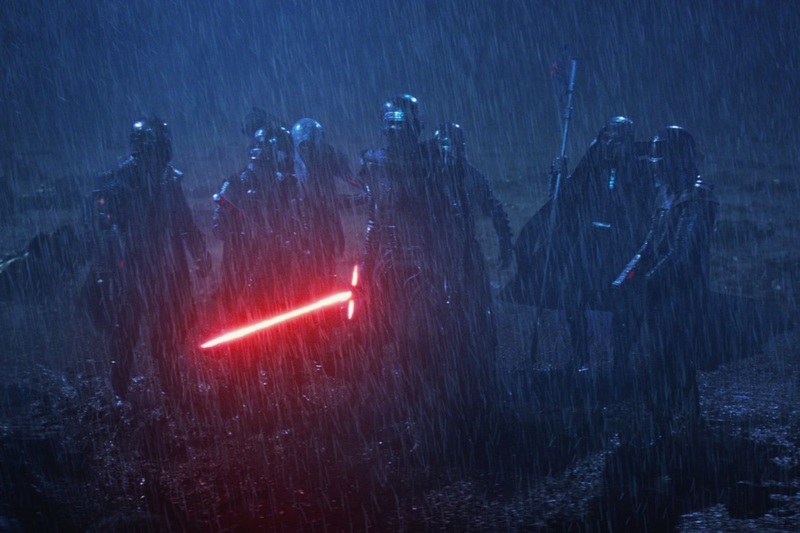 I don’t care so much about the description changing, I just want to see them, and I think that this film makes the most sense when you consider that the Knights of Ren are essentially Kylo’s gang. They don’t report to the First Order, they report to him, so now that he is the First Order, that opens up the door for him to deploy their dark talents. I do think this will come to fruition as well, because they’ve been talked about too much, and even appeared in TFA briefly, so there has to be some sort of payoff before this trilogy wraps. How could there be a Star Wars movie with Lando in it and he’s not wearing a cape? This is a no brainer, take it to the back type of rumor. Count on it. There may be a new style of First Order Trooper in Episode IX, and they may look very much like Major Vonreg from Star Wars Resistance. Apparently the armor isn’t just an all red version though, so the helmet may be different to distinguish these troopers as special units. Think Death Troopers from Rogue One, but with some bitching red and black armor. I can see this happening for sure, especially since it’s been established in canon thanks to Resistance. Plus, with Phasma being MIA and probably dead, the First Order will need some style amongst their ranks. Bye bye DJ and Porgs? Now this doesn’t mean they won’t be in the movie, but apparently there aren’t any new products or mentions for them moving forward. I think at least one Porg will be present, I mean Chewbacca did bring a family of them with him when he, Rey and R2 left Ahch-to, so I bet at least one is still hanging around. As far as DJ goes I think his story wrapped nicely, but there is narrative potential for him. Although, if we don’t see him again in the films, I won’t be disappointed. We already covered this rumor in another post, but some think the teaser for Episode IX will drop before 2018 is through. That’s all for now, but make sure to tune into next week’s episode of our Star Wars Time podcast to hear our stupid hot takes on all of these plot nuggets!